Each day of a week is dedicated to a particular god in the Hindu pantheon. Apart from the special Vratas and Upvaas, many Hindus also fast on a particular day in a week. So, if you want to worship all avatras and forms of god in particular, you get one whole day to shower your devotion to the god! Thursday is dedicated to Lord Vishnu and Lord Brihaspati, the guru of gods. 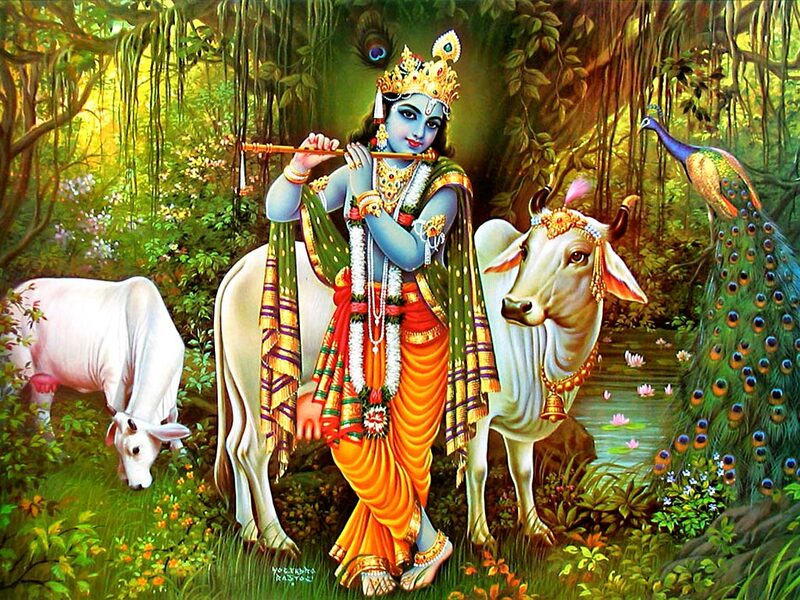 Krishna is worshipped today being Janmashtami. Devotees worship and visit any krishna temple nearby. I offer my obeisance’s to Lord Kṛṣṇa, the beloved son of Vasudeva, who killed the great demons Kaṁsa and Cāṇūra, who is the source of great joy to Mother Devakī; and who is indeed a world teacher and spiritual master of the universe. I salute Lord Kṛṣṇa, the Universal Teacher, who is decorated with garlands of Atasī flowers, who shines with jewels around his neck, wearing anklets and bracelets. So, visiting Vishnu or any avatars of Vishnu and any of Guru Temples nearby is believed to help in successful life. Specially Devotees visit Krishna Temples to seek his blessings. The offering made to Vishnu avatars and Brihaspati usually includes yellow colored fruits like Bananas. Yellow flowers are offered to him.